Yes, another blueberry post. I’m a little obsessed with these berries and since I used all my will power to not eat them all and preserve them instead you get to read the results. 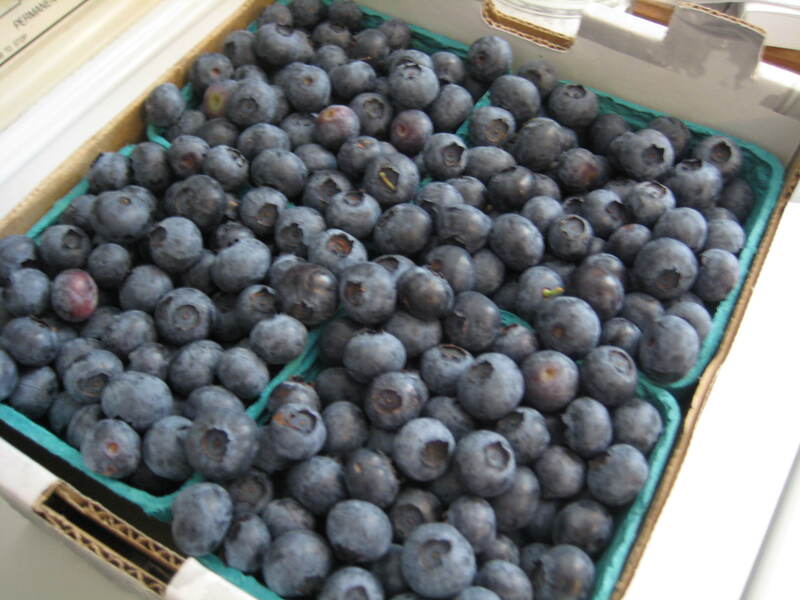 This box of blueberries from the Blueberries in Syrup post don’t tell the whole story. They look like an innocent 2 pound box of berries. What you don’t see are the other 4 boxes sprawled out all over my kitchen. Yet another shopping adventure I expertly hid from Greg. I had the Blueberries in Syrup already made and also made a batch of Blueberry Butter – which I highly recommend because it cooks in a slow cooker which is GENIUS. So I knew I wanted to make something that would taste slightly different but still of delicious blueberries. I had a knob of ginger lying around and decided to give Marisa McClellan’s Blueberry Ginger Jam a try – I am not disappointed. 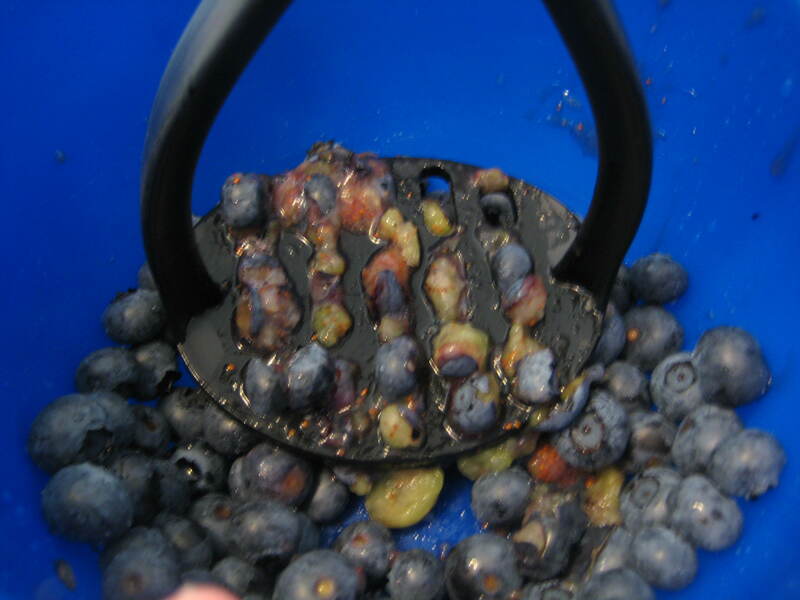 One little tip I learned the hard way – do NOT use a potato masher to try and mash the berries, absolute fail as you can see below. The berries got stuck in the masher instead of actually mashed. My advice? Either puree them in a blender or mash them with a fork. Prepare for water-bath canning: Sterilize the jars and keep them hot in the canning pot, put lids in heatproof bowl. Combined mashed blueberries, sugar and ginger in a bowl, let it sit for at least an hour and up to 24 hours so the ginger will infuse the berries with its flavor. If you’re letting it sit for over an hour pop it in the fridge. When it’s jamming time put a small plate in the freezer for a jam test and then pour the fruit mixture into a medium pot. Bring fruit mixture to a boil and add the lemon zest and juice. Cook for 10-20 minutes or until a small dab of the jam spooned onto a chilled plate and returned to the freezer for a minute becomes somewhat firm. Ladle boiling water from the canning pot into the bowl with the lids. Using a jar lifter, remove the sterilized jars from the canning pot, carefully pouring the water from each one back into the pot, and place them upright on a folded towel. Drain the water off the lids. 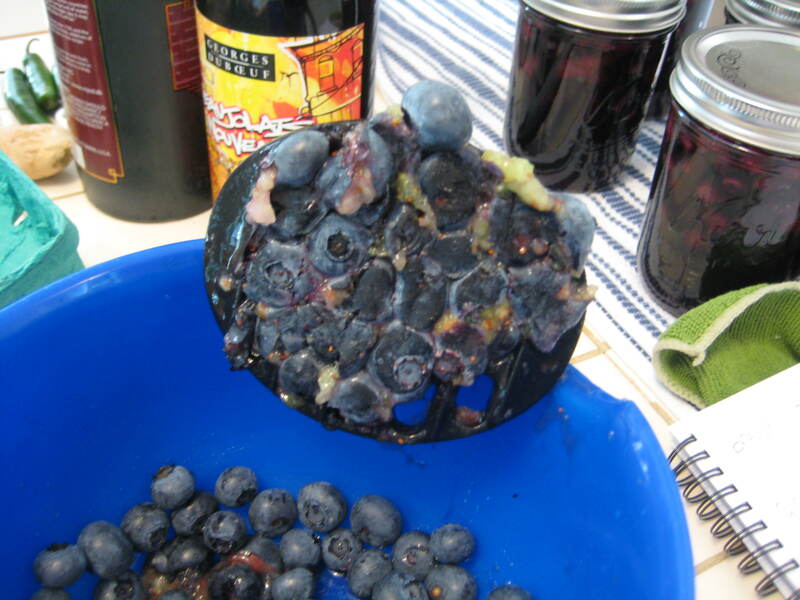 When the jam passes the plate test, remove ginger slices from the blueberry mixture. Then remove the pot from heat and ladle the jam into prepared jars leaving ¼ inch headspace at the top. Use a damp paper towel to wipe the rims of the jars, then put a flat lid and ring on each jar, adjusting the ring so that it’s just finger-tight. Return the jars to the water in the canning pot, making sure the water covers the jars by at least 1 inch. Bring to a boil and boil for 10 minutes to process. Remove the jars to a folded towel and do not disturb for 12 hours. After 1 hour, check that the lids have sealed by pressing down on the center of each lid. If it can be pushed down it hasn’t sealed and the jar should be refrigerated immediately. Label the sealed jars and store in a cool dark place. 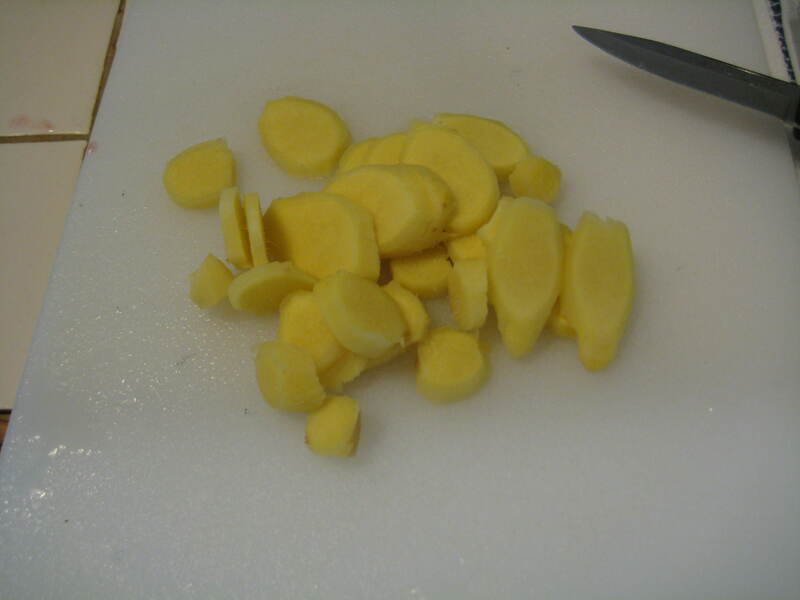 To make things easier you can place the ginger slices in a cheesecloth so that removal is simple. I had to fish each ginger slice out of the pot – not a big deal but you can make it easier on yourself with a cheesecloth. Wow. I am so impressed someone your age knows about cheesecloth. You continue to impress me.